We can design your vehicle graphics to meet any budget, from a bumper-to-bumper marketing machine to simply providing your company's contact information on the sides and rear of your vehicle. Installation is available at our location or yours. 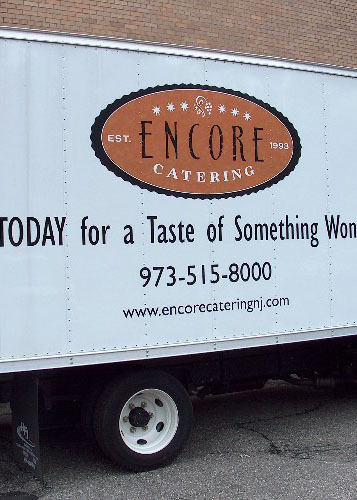 Truck Lettering and Fleet Graphics can be installed at our location in Dover, Morris County, NJ, or at your location or jobsite.